Highlighters come in all shapes and sizes, you have your pressed highlighters, powders, liquids and creams. So how does this offering from Topshop par up? 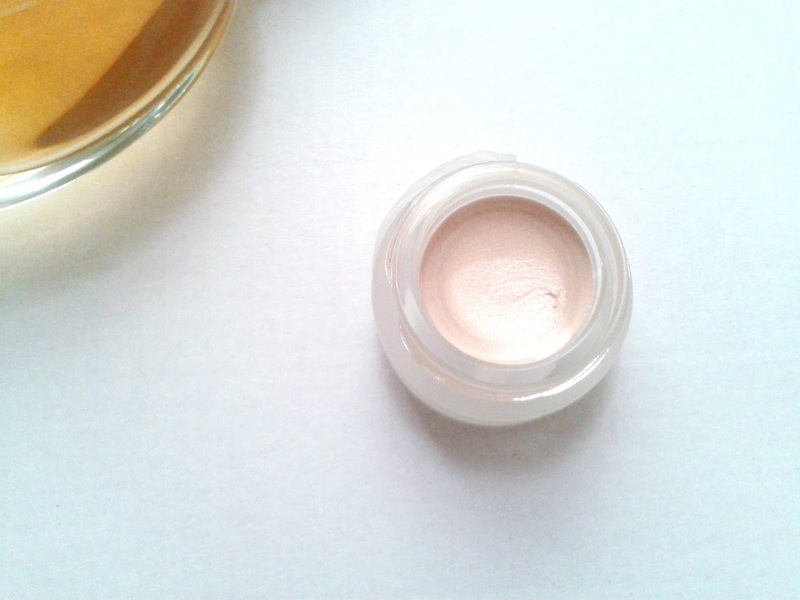 This is a cream highlighter that comes in a very cute, glass jar. It is very sturdry and has a screw lid (which is perfect for the more clumsy of us). As it is a cream highlighter you can put it directly on top of your foundation/skin and powder later if you wish to do so. 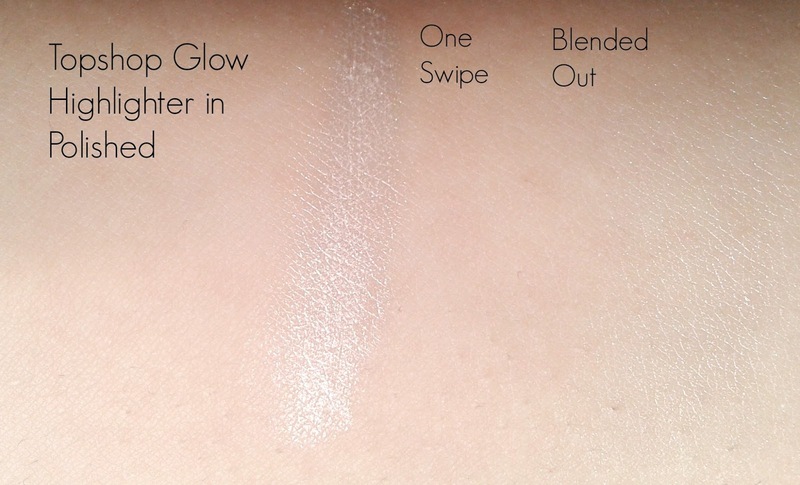 It would also go great with cream contouring products as they would blend together seamlessly. Onto the actual product itself, it is more of a champagne colour, which is described as being white. It is absolutely lovely to apply on the skin, its got a very mousse like texture and is so light you can't even feel it. It does look shimmery, but in a very subtle way (by that I mean that you don't even up looking like a disco when you've applied too much, as is the case with some highlighters that are more glittery such as high beam). It is a very pigmented product and a little bit certainly goes a long way. I love using it on the cheekbones to create a dewy look, and this could be a great alternative for people with dry skin who find that powder products make them look a bit cakey. It does last for quite a few hours, but might need to be topped up if you have a long day. You can get it here for £9. I do find it'a a bit expensive, but if you're looking for an investment that will last then it might be for you. 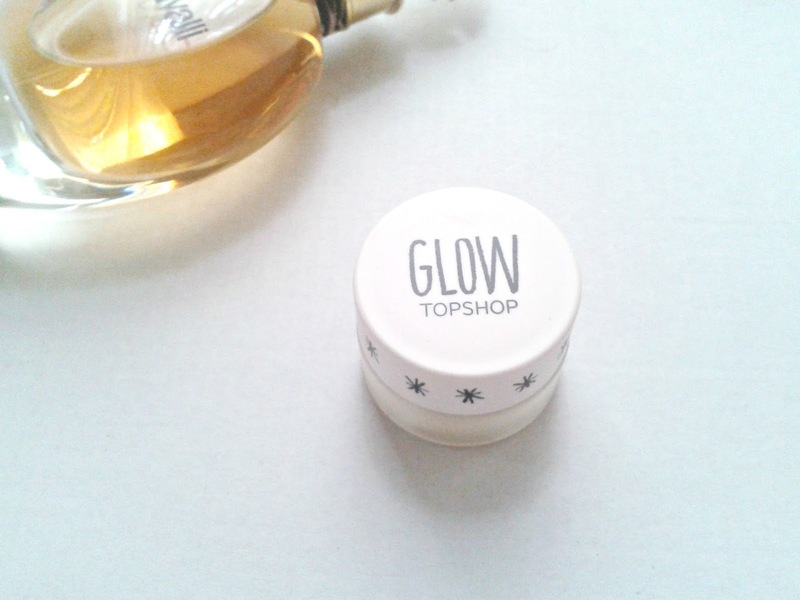 Have you tried any Topshop Highlighters? If not, then what are your HG highlighters? I've never tried any TopShop makeup before! I know their lipsticks are great and I've been meaning to buy a few for ages! I may have to pick this up too when I finally get them. I really want to try this but my local Topshop never has any in! I've wanted to try this for a while but was always put of by the price tag when looking at the size of the pot as there are alternatives in drugstores that are larger, cheaper and hyped about a lot more. This post however has made me decide I should give it a go as I think it'll suit my dry skin really well. Have yet to try Topshop's makeup range seen a few good reviews on this now!